This is a very fragile and very nice peice of quartz on muscovite w a touch of pyrite. Just a lovely miniature, 1-1/4" x 1". 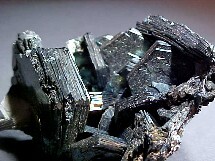 Hematite - "Iron Rose! ": M.G., Brazil. This beauty plays a lot of tricks in the light. Displays well from different angles. A brilliant miniature from Diamantina. 3" across. 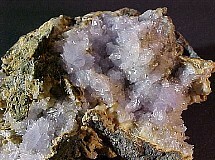 Lovely almost druzy like lavendar creedite crystals on matrix. 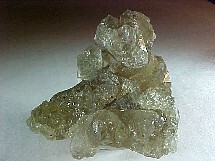 This is a very pretty and delicate miniature from the San Antonio el Grande Mine. 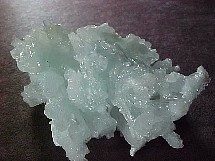 Very light minty green tarnowitzite crystals. There is more white than the photo implies. This is a lovely miniature. 1-3/4" across. A mass of rough apatite crystals with some etching and regrowth. There is a crystal that shows some gemmy quality. a neat miniature. 4-1/2 x 4-1/2cm. 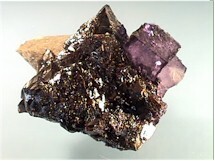 Dark purple fluorite on a crystalized sphalerite matrix. 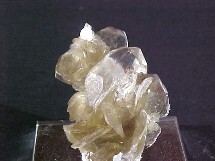 This pretty piece is from the Gordonsville Mine. 6 x 6 x 5cm.